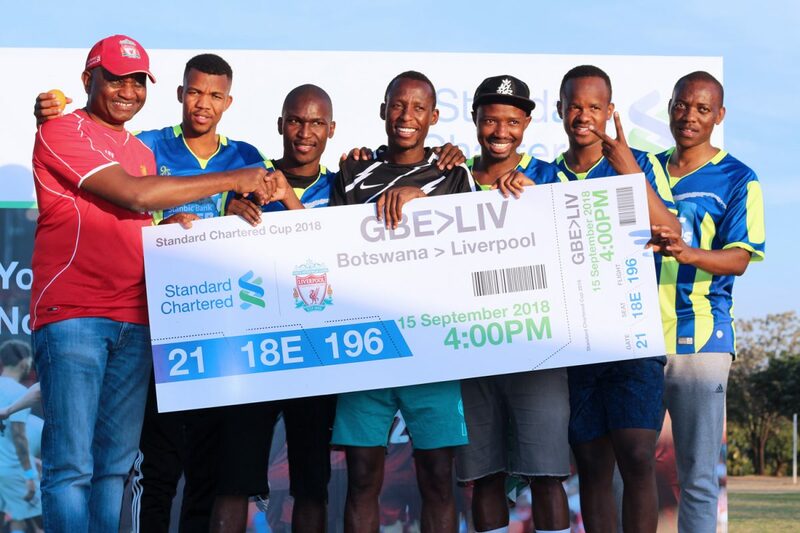 Gaborone, 27 November 2018 – This week, Standard Chartered Bank Botswana Limited will be sending off the Letshego 5-a-side football team to the home of Liverpool Football Club (LFC), Anfield as winners of the 2018 SC Cup. The team will be treated to an exclusive VIP experience at the hospitality of LFC. During their tour the team will, take part in a training session with LFC coaches at the Club’s training academy, be given an all access private stadium tour, watch the Merseyside derby between LFC and Everton live in the stadium, and enjoy a hosted lunch at the renowned Bootroom Cafe within the stadium. The Letshego 5-a-side football team won the exclusive opportunity after having emerged overall winners of the 2018 SC Cup held on 15 September 2018 in Gaborone, beating 11 other client teams to the prize. The team flies out tomorrow (Thursday, 29 November 2018).